My final comments on the STAR parent conference on Autism 2008, which I’ve discussed in the previous two posts, is about the presentation on current research findings on autism, presented by Judith Grether, PhD. 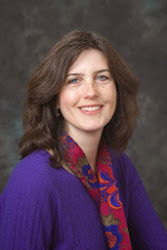 Dr Grether is a Perinatal Epidemiologist with the California Department of Health Services in Richmond, California, a part of Centers for Autism and Developmental Disabilities Research and Epidemiology (CADDRE). The presentation then moved to a discussion of vaccines and autism. This was fascinating, because she discussed theories involving antigen concentration as well as Thimerosal use. I know this topic can be very controversial, so I’m not going to attempt an amateur replication of Dr. Grether’s statements. If this is a topic of interest to you, I urge you to go to the CADDRE website and sign up for the autism newsletter. The presentation moved to other areas that are being studied, including immune issues, maternal factors including parental age, and environmental issues such as toxins and pesticides. I found the parental age issues most interesting, especially the studies that attempt to tease out the cause and effect of the issue. Dr. Grether stated that “the risk of ASD is increased with increasing age of mothers and, independently, with increasing age of fathers.” She then discussed at length the studies that have been performed in an attempt to determine what this correlation really means as far as what precise factors are actually causing this increased risk. As is typical in autism research, there are many questions and few definite answers. Dr. Grether concluded the presentation with a discussion of current studies that are being performed and how parents can help with research. My opinion about this presentation is heavily influenced by my own engineering background. Prior to becoming a therapist, I was an engineer and I spent many years doing research and experiments. My area of study was Materials Engineering and semiconductors, very different than epidemiology and autism. However, I learned two things as an engineer that I think are applicable. First, it’s very rare to find absolutes in science: “always”, “never”, “the best”, “we know for sure”. I appreciate that this presentation was so carefully presented. We got to hear of studies that aren’t complete, facts that aren’t fully understood and theories that are only being considered. Dr. Grether took care to state when there were uncertainties, yet at the same time presented research that is still in progress. Second, I’ve found that the best science is performed when the researchers go into the experiment being open minded about what the data will show. This seems to be a real strength for Dr. Grether and was one of the factors that made this presentation so interesting. One of the speakers at the STAR conference (see previous post for details) this past weekend was Renee C. Wachtel, MD, the Director of Developmental and Behavioral Pediatrics at Children’s Hospital and Research Center, in Oakland, California. Her talk was on Medical and Complementary Treatments in Autistic Spectrum Disorders. The best part of this presentation? It was very well documented. It’s a constant difficulty that research on psychoactive medications is so difficult to find. As always, scientific data is more scarce than we’d prefer it to be, due to the vast difficulties in testing large enough sample groups and adding in control groups. Add in the problems with using these medications on a subset of children with autistic spectrum disorders and it can seem like medication is just a guessing game. Certainly, there is still a tremendous opportunity to do more research, but Dr. Wachtel demonstrated that there have been some good studies. Dr. Wachtel discussed the psychoactive medications children on the autism spectrum are frequently taking, and presented summaries of the studies that examined the efficacy of these drugs. The data is was quite detailed, and I’m a psychotherapist, not a medical doctor, so I’m not going to go into more specifics beyond stating that it’s worth finding a medical doctor who has thoroughly researched the data on these medications. The other interesting aspect of this presentation was Dr. Wachtel’s discussion of complementary and alternative medicine. She defied these as “A group of diverse medical and health care systems, practices and products that ... are not presently considered part of conventional medicine.” Examples she discussed were vitamins, diet modifications, and biologic treatments, and she brought up some treatments that she described as seriously risky. With so much information on the web about treatments for autism, it can be nearly impossible to sort the science from the hype. This presentation gave some clear details of well performed scientific studies and Dr. Wachtel concluded that these interventions can be studied in a scientific way. What’s my conclusion from seeing this presentation? Although there are still so many questions, it’s clear that there is good science being performed, and informed and well educated doctors are available. No one has all the answers, but parents can find professionals who can help them sort through what’s out there to get the best possible answers for their kids. I wanted to shift focus for a bit and talk about a encouraging and enlightening conference I attended this weekend. It was the Services, Treatment, Advocacy, and Research (STAR) Parent Conference 2008, for parents of kids with an autism diagnosis, ages 0 to 8 years old, in Alameda and Contra Costa County, California. (Where my private practice is located.) This topic is different than the tight focus on social skills I usually have in this blog, but certainly of interest to many parents who are concerned with social skills for their kids. The conference presentations were very informative, and I’m going to talk specifically about a few of them in upcoming blogs. The resources who exhibited were remarkable in their breadth. (I was there as a representative of my therapy practice, which focuses on autism issues.) There were medical resources, government agencies, resource networks, legal groups, and all sorts of treatment representatives, from large schools and treatment centers down to individual practitioners. It was encouraging to see so many resources gathered together in one place. As always seems to be the case, there was one group attending the conference that really stood out as remarkable, and that’s the parents. Somehow, parents of children on the autistic spectrum tend to be so active, well informed, supportive of their children and each other. I spoke to parents who have been involved with these issues for years, and have formed strong parent support networks. I met parents whose children had just been diagnosed, and they were already at work to find the support and therapies they need. And I talked to many parents who had stories of how far their kids have come. One of the best parts of working with the autism community is getting to work with these remarkable parents. If you’re the parent of a child on the autistic spectrum, I urge you to find a similar network of support in your own community. I think it makes all the difference, for parents and kids. Many kids are going through some form of social skills training. For kids on the autistic spectrum, with Asperger’s syndrome, those with attention deficit issues and others who just struggle with reading social signals, training in the specifics can be extremely helpful. But, before you send you child to a social skills group, and before you work with your child on your own, it’s important to consider the reasons behind the current behaviors. For many years, before I was a Psychotherapist, I was a Semiconductor Quality Engineer. This sounds very different than a therapist and in many ways it is. But, some truths are universal, and they hold true in engineering and in human behavior. I’ve seen in both cases is that there’s a reason things happen the way they do. For kids who are struggling with social skills, there is a reason. Usually, it’s because it’s really uncomfortable to do things in the traditional way. Eye contact feels too close. Personal space doesn’t feel right. Acting like neurotypicals do, feels just like that, acting. In order for a new social skill to be useful, it must feel natural. The first step in any new social skill is to add in a calming step. This might be a pause, a breath, a calming thought. Then step forward, step back, say hello, look that person in in eye. It’s going to be a lot easier to feel natural if your child is relaxed first.